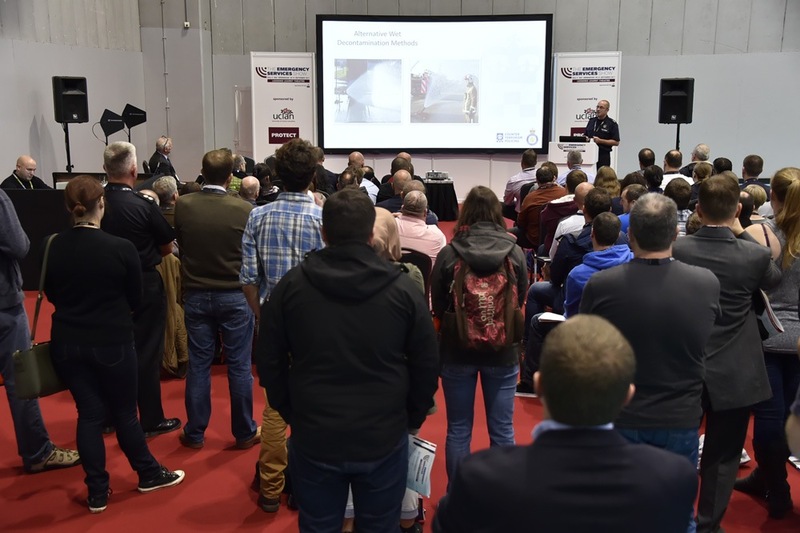 The Manchester Arena attack, Thailand cave rescue, Greater Manchester’s wildfires and corrosive substance attacks are among recent incidents featuring in the Lessons Learnt Theatre at The Emergency Services Show taking place at the NEC, Birmingham, 19th to 20th September. A wide range of emergency services professionals will be sharing advice and learning in the Lessons Learnt Theatre (Sponsored by UCLan Protect), one of four free-to-attend CPD-accredited seminar theatres at this year’s event. Paul Argyle, Multi-Agency Strategic Advisor to the Mayor and Deputy Mayor of Greater Manchester and the Combined Authority will open the first day by covering the key learning points from the Manchester Arena attack. Bill Whitehouse MBE, Vice Chairman, British Cave Rescue Council and Rick Stanton MBE, Cave Diver, British Cave Rescue Council will present a session on the Thailand cave rescue operation, when twelve boys and their coach became trapped one and a half miles underground. Greater Manchester Fire and Rescue Service will cover the region’s recent wildland fires, sharing early learning from multiple, simultaneous, high demand wildfire incidents and the impact they had on business continuity and effectiveness. Metropolitan Police Detective Superintendent Mike West will speak about preparing for and tackling corrosive attacks, outlining how the Met has improved their response through operational preparedness, changes to data collection and working to the national action plans set by the NPCC and Home Office. Michael Poole, Managing Director of DipHex Limited will also explain the three phase response to chemical accidents and attacks and the change in approach by the medical experts. Nicholas Smith, Lecturer in Forensic Science at UCLan will look at advances in forensic investigative techniques of major incidents over the last 20 years. What do you do when 1,400 Cars are on fire? Barry Moore, Group Manager at Merseyside Fire & Rescue and Jim Davies National Operational Learning office at NFCC will share how Merseyside FRS responded to the Liverpool Arena car park fire on New Year’s Eve 2017. This session will help understand how incidents like this happen and what we can learn from them. Police are often required to drive in ways an ordinary member of the public would not, whether to get to an emergency or to pursue a suspect. Tim Rogers, Pursuits Lead at the Police Federation England and Wales, will illustrate how some officers have fallen foul of legislation and detail what the Police Federation is doing to campaign for change in a session entitled: Emergency Response Drives – a risk too far? There will also be a session on preventing occupational exposure to new threats such as opioids and Fentanyl. At 50 to 100 times the potency of morphine, even very low exposure to Fentanyl can be dangerous, especially when unknowingly contracted. This session led by Ansell’s Vice President of R&D Derek Warneke will discuss common and uncommon exposure routes and how to ensure that those on the front line are protected. Speakers from Public Health England will share learnings from Exercise Context ’18: a European Nuclear Emergency Exercise and explain how they can be incorporated in to the UK’s response to radiation and nuclear emergencies. The use of social media in building community flood resilience efforts, intelligent data use and the European SAYSO project to strengthen civil protection operations are among the other topics covered. Martin Carnell, Group Commander, Devon & Somerset Fire & Rescue Service, will look at reducing vulnerability through intelligent data use across the public sector. Around the exhibition visitors can see and touch the latest kit and discuss solutions with over 450 suppliers and organisations. The event also offers a valuable and unique opportunity to learn and network with other blue light services, enabling collaboration and effective co-response. The Collaboration Zone features over 80 emergency services, voluntary groups, partner agencies, charities and NGOs. ARE YOU READY FOR THE EMERGENCY SERVICES SHOW?